Agile methods decrease risk — but they don’t eliminate it altogether. Particularly in large government projects, there are usually factors and restrictions that the team can’t control, but that will negatively impact results if not managed properly. 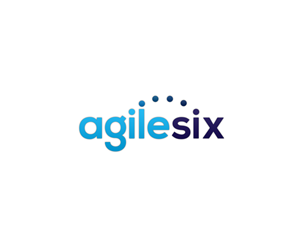 Drawing on years of experience in successfully implementing Agile across a range of large commercial and federal government projects, AgileSix has developed The Agile Risk Management Framework, a set of tools and practices for effectively managing risk on Agile projects. Some would argue that Agile practices are by themselves mechanisms for mitigating risk, and to a certain extent this is true . . . But that does not mean that Agile removes the need to manage projects at all. There is still the need to determine which process is appropriate for a given project, adequately resource teams, identify and address risks and structural problems within the projects, coordinate the activities of multiple teams on large projects, and maintain an ecosystem that supports the development process. In fact, Agile processes are often better at identifying problems in a project early and often than serving as a solution to the problems per se. The paper contains helpful suggestions like determining which process (Scrum, KanBan, etc.) is right for your project, establishing a common project vision, and creating roadmaps to help mitigate the risk of a fixed scope project.